1. It was a fun movie with a good story all by itself. 2. 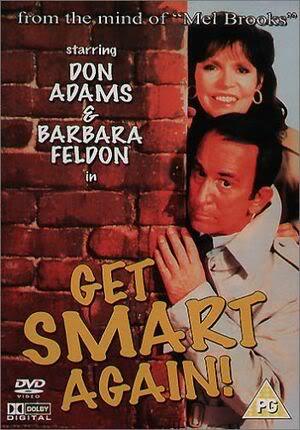 The plot was consistent with the story told in the original "Get Smart" television series. 3. 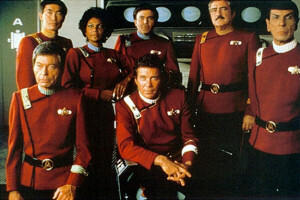 The original characters were represented in the sequel in roles similar to their original roles with appropriate changes for nineteen years later. 4. The jokes and features from the television series were represented in the sequel. The few changes and extensions to the original-TV humor were meaningful to the plot. 5. The plot was appropriately larger for a feature-length movie than a half-hour TV show, bigger and more complicated but not earth-shaking. 6. The plot was also meaningful in its time, nineteen years later than the TV-show period in this example. There are certainly enough bad movie remakes that we don't have to look hard to find them or to conclude that "they just don't get it." The first Spiderman movie fits in the good-remake category but the second starts to show more of the liberal-politics, it-will-turn-out-fine-if-you-just-care-enough attitude that marred the first two Superman movies (the good ones). 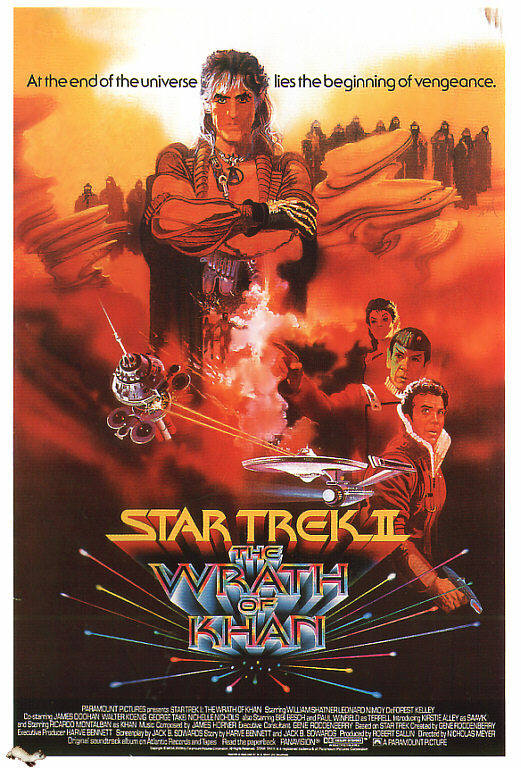 As another successful sequel, let's look closer to home at "Star Trek II: The Wrath of Khan." The characters enjoy their traits and roles in movie-sized plot and impact with meaningful aging of characters and environment. 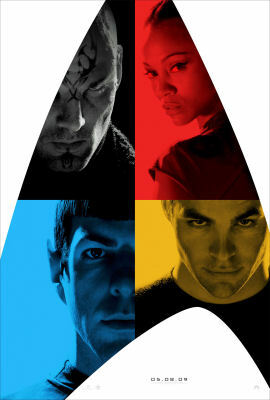 Except for the wussy-Hollywood stunt of having Spock die, obviously to be reborn somehow in yet-another sequel, this was a great movie and great Star Trek. It made me proud to be a trekkie. I remember Bill Cosby, in one of his early "childhood" routines, talking about the best monster film ever. It had the mummy, Frankenstein, the wolfman, "everybody was in it." The frightened children in Cosby's monologue hid under the seats so long "our backs were covered with black Jujyfruits" (or something like that). What a wonderful way to portray the mind of a child going to scary movies in the theater! In fact, each of these monsters has his own lore and mythology separated by centuries and continents, so they would never meet each other in real life. Only the monster-fan child would think a movie with all three (and maybe a few more, like Dracula) was a good movie. As an adult movie viewer, I expect more dramatic unity from my movie experiences, some allegience to the original mythology. The standard for a sequel or prequel is high enough without the movie having to stand completely on its own. A good sequel or prequel may require the viewer to be familiar with the movie it follows or precedes in plot time, but the characters have to be developed and presented with the same level of skill required of a stand-alone movie. 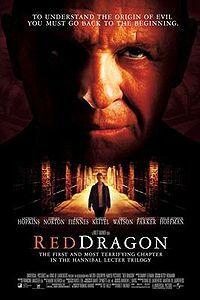 That's where "Red Dragon" succeeds and "Hannibal" fails. The prequel's "boundary condition" (as we math-geeks would say) comes at the end of the movie rather than at the beginning as a regular sequel requires. It's harder to write a prequel than a sequel because writers tend to write forward in time, from story beginning to story end, so having it end just right is harder than having it begin from a known condition. 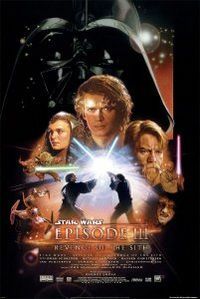 One example stands alone on a pedestal in my prequel-movie world, "Star Wars Episode III: Revenge of the Sith." It had to follow two movies we watched grugingly (at least they got rid of Jar Jar Binks, thank heaven!) but it also had to set the stage for the three movies we already know well because we watched them so many times. The council-senate democracy has to become the empire, Anakin Skywalker has to become Darth Vader who serves the emperor, Luke Skywalker and Princess Leah have to be born not knowing either each other or their parentage, Padme Amidala has to die, and we still need some element of mystery and surprise in the presentation. I felt this movie did all that, it had some surprises, and it was fun to watch, so it can be done. Okay, I've clearly set the stage for a negative review of the Star Trek prequel. Let's spend a minute on what it does right. 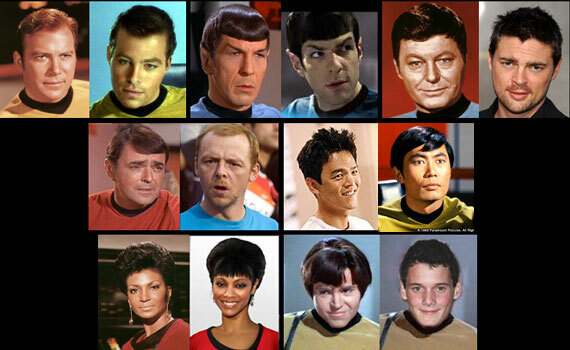 We've become fans of the Star Trek crew James T. Kirk, Spock, Leonard (Bones) McCoy, Uhura, Montgomery Scott, Pavel Chekhov, and Hikaru Sulu along with Christine Chapel, and Sarek (Spock's father). If we're going to have another Star Trek movie and we've run out the forward-time end, then it's going to be a prequel. Wouldn't it be fun to see these nine characters, and maybe Christopher Pike, in a movie before the television show time frame? This movie does that and the young characters are, indeed, in character. They're a bit exaggerated and one-dimensional, as Hollywood seems to require these days, but they're there and they're their real selves. Character-wise, there's some "there" there—this movie is fun to watch. So what did they do with these separate life lines? Like Bill Cosby's monster movie example, they just threw them all together and hoped we wouldn't notice the grotesque inconsistency of it. I expected a great deal more, especially from a movie recommended by more than one friend. Phooey! The other part was seeing how the Star Trek universe would take our favorite characters into the Star Fleet Federation of Planets we have grown to know. Vulcan's special role as a haven of logic came from roots other than logic, maybe some of that is recent-enough history to be part of a Star Trek prequel. Maybe earth joined the Federation in the longer lifetime of Spock or Bones. The delicate weaving of plot consistency and surprise is a wonderful challenge for a movie writer. So what did they do? They completely ignored the story and made up their own where Vulcan is turned into a black-hole pile of rubble killing almost everybody and old Spock comes back from the future to talk to himself. 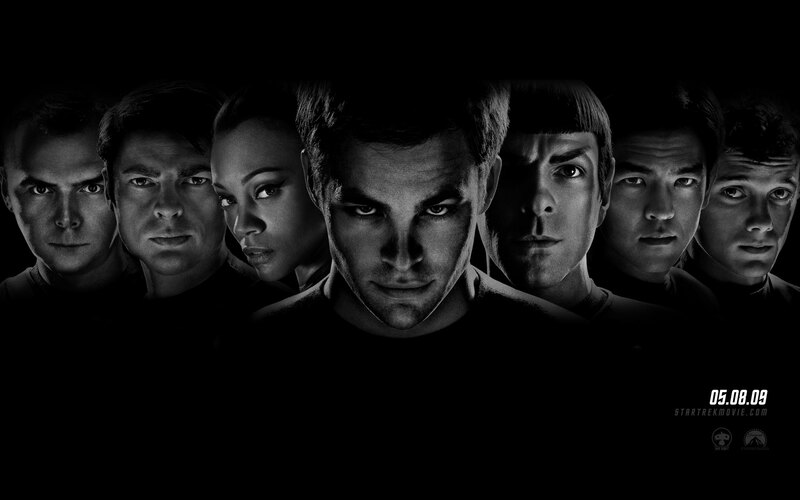 Come on guys, can't you have some allegience to Star Trek in a Star Trek movie? We're back to Bill Cosby's childish notion of it being a great movie because there was a lot of action and everybody was in it. This notion that the movie version of a show has to have galactic consequences to match the bigger screen in the theater is also painful to me. Vulcan is destroyed, that's bad but still okay because it's Earth that has to be saved. (They're just a bunch of pointy-eared half-breeds anyway, right? How many of us lost a lot of sleep when Darth Vader turned Alderon into rubble since none of us has spent any time there?) Movies of television shows have to have bigger plots to match the bigger screen, so the whole universe is in dire peril every time. That's another reason "Wrath of Khan" was refreshing, it has Kirk and Kirk's friends and Kirk's family in danger, not the whole galaxy. The television show made it clear, I thought, that Star Fleet and the Federation of Planets were not earth-centric organizations. The show was earth-centric in that its viewers live on earth and would recognize earth references, so they would mention famous earth names before extrapolating to our future with names from other planets. 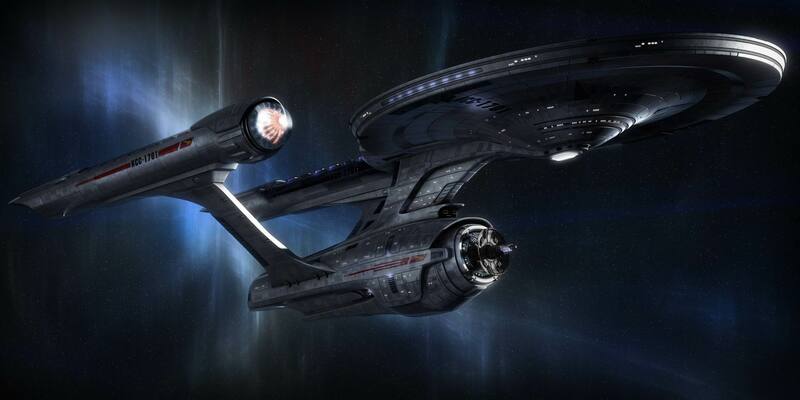 In the Star Trek movies, not just this one, Star Fleet headquarters and court venue is in the San Francisco Bay Area complete with twentieth-century artifacts unlikely to last three centuries into our future. Okay, Hollywood is a bunch of screw-ups and has been for a decade or two. Still, they gave us the movie "Casablanca" and two great seasons of "Star Trek," so they haven't always been that way. Here was a chance for them to rise to that kind of occasion and I feel they missed it totally in so many directions there's nothing to forgive. "The X-Files" does it better! If you want the kind of character development and honesty we expected and received from "Star Trek" in years past, then watch "Law & Order" instead. They do a wonderful job of developing characters who live and grow and interact and die over time in a realistic and consistent historical thread over decades of episodes. There are success stories in this genre, just not this movie. 20:49:26 Mountain Standard Time (MST). 69142 visits to this web page.